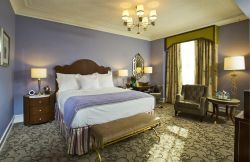 Known as the “South’s Grand Hotel,” The Peabody is legendary for its charm, elegance, and gracious hospitality. 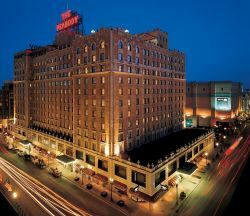 The Memphis icon opened in 1869 is listed on the National Register of Historic Places. 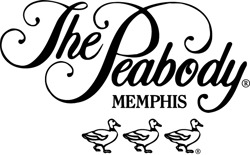 The Peabody has been made world-famous for its five resident ducks, who march daily through the lobby at 11a.m. and 5 p.m.
Don't wait in line. 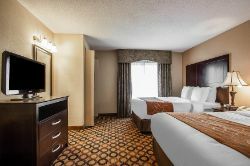 Purchase your Memphis Zoo tickets for a discounted price at your hotel check in. We have packages for two adults and two children, from $100 to $150 plus tax. If you need to modify your ticket count, you can do it when you make your reservation at 901-365-2575. 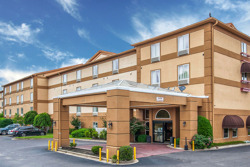 All rooms are suites with microwave and fridge. Indoor Pool and Spa. Start your day with a free hot deluxe breakfast!